Stephen Story is an entrepreneur who created Stephen’s Cocoa and cofounded Tahitian Noni International. 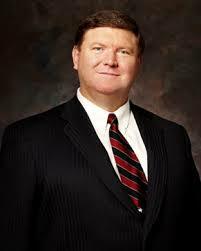 In 1981, Story received his bachelor’s degree in life sciences from Brigham Young University. His emphasis was food industrial management and product research and development. While a student, he started businesses including a shoe shining business, a knife sharpening business, and a stencil kit business. Most of the businesses failed, but he continued to enjoy brainstorming moneymaking ventures. He created his own hot cocoa to give for Christmas gifts for neighbors. When neighbors asked where he had found the hot cocoa, he started making the powder in his garage and sold it. Stephen’s Gourmet Kitchens was born in 1990. Ten years later the products were sold in forty-eight states. Much of his and his wife Jan’s early earnings went into a trust fund for their son Dallin who is afflicted with cerebral palsy. Story stepped away from his cocoa business in 1995 and launched Tahitian Noni International with a few business partners. In 2002, he sold the Stephen’s Gourmet Kitchens trademark, marketing rights, and brand for the United States to Indulgent Foods. Under Stephen’s International, Story kept the rights to foreign markets and changed the formula and products. Morinda Inc., which owns Tahitian Noni, acquired Stephen’s International in 2003. Story is currently vice president of Morinda Holdings, Inc. John Wadsworth, who brought the noni fruit to the United States, and Story gave the juice from the noni fruit to friends and found that the health of those who drank it improved. Wadsworth and Story are two of the five founders who started Morinda, Inc., which is named after the noni’s scientific name ‘’morinda citrifolia.’’ The company has exclusive rights to import noni from Tahiti. The company’s products are sold through direct marketing. Story is known for his ability to taste a product and detect the ingredients as well as the amounts used. He is a pioneer in dietary fiber supplements, sports nutrition, milk substitutes, and nutritious gourmet foods. Stephen and Jan Story are the parents of five sons. They are members of The Church of Jesus Christ of Latter-day Saints and live in Utah. Story served a mission to Buenos Aires, Argentina. This page was last edited on 30 July 2014, at 15:31.